Now that all stitching has been completed, it's time to block and finish your needlepoint project. Many stitchers are afraid they will ruin their hard work if they do the final finishing process themselves. As a result, they send their work out to a professional finisher. If doing it yourself is more your style, you can successfully block and finish your own needlework and save time and money while doing it! Only a few supplies are needed as well as a lot of patience and focus. Paper Pattern created before stitching of the original size and shape of the needlepoint canvas. You'll use this pattern as a guide for straightening the completed needlepoint. Blocking Board or alternative padded fabric covered board that has been printed with a grid of squares. Straightening a warped canvas by pinning it to a blocking board is the simplest, quickest, and most efficient way to stretch a finished piece of needlepoint back into shape. If you don't have access to a blocking board, consider a towel covered pine board and a T-square; or if in a pinch, you can use an ironing board or even a clean, carpeted floor. Heavy Duty Rust-proof T-pins or Push-Pins to attach the warped canvas to the blocking board. Spray Bottle containing clean water to wet and soften the canvas for stretching and pulling. Steam Iron for fluffing the threads and re-setting the sizing in the canvas. All completed needlepoint projects should be blocked, even if you used a frame or stretcher bars for stitching. Not only does the blocking process straighten the canvas and put back the sizing, it fluffs the stitches as well. Preparing the needlepoint canvas for blocking has its own set of easy-to-follow steps. If you take the time to do this before starting the stretching process, you'll save time and frustration as you pull the canvas back into shape. Remove the canvas from the frame or stretcher bars along with any masking tape you put on the edges before stitching to keep the canvas from unraveling. Dampen the canvas using a spray bottle filled with clean, warm (not hot) water. Spray it liberally to dampen the surface - but do not over-wet the canvas. It should be damp - not dripping. Let the canvas rest for 5 to 10 minutes to relax the dampened fibers. You can also dampen the piece by dipping into a sink of warm water, then rolling in a fluffy towel to remove the excess water - but do not twist or wring, as this will warp the piece even further. Let the needlepoint rest before pinning. Carefully tug the corners and sides of the canvas to gradually re-shape the needlepoint a bit before mounting on the blocking board. After wetting and tugging the canvas, pin the corners of the canvas to the blocking board. Pull and stretch the sides of the canvas and pin to the board along the grid lines using them as your guide to square the canvas. Place enough T-pins to hold the canvas securely in place and place them as close to the edges of the stitching as possible, without touching the stitched thread. Space the pins about 1/2 to 1-inch apart. Allow the canvas to dry for several days before removing the T-pins. For simple blocking where you worked your project with basketweave tent needlepoint stitches, pin the stitched design face-up on your blocking board. If you plan to apply stiffener or sizing to further strengthen the finished needlepoint, place it face down on the blocking board, and apply the sizing to the back of the piece after the blocked canvas has dried. Keep the needlepoint pinned to the blocking board until the sizing or stiffener dries as well. If your canvas was severely warped from exclusively using the Continental Tent or Half-Cross Tent needlepoint stitch, you may need to repeat the process several times. Give it a shot of hot steam with your iron and allow it to dry thoroughly for several days—especially if the finished needlepoint is particularly stubborn. There are many situations where traditional or wet-blocking will not work. In these cases, you will need to "Dry-Block" your canvas to straighten it. If you've used non-colorfast threads or novelty yarns such as velvet, you will have to dry-block the canvas. If you've worked a lot of surface embroidery stitches or added "found objects" such as beads, gems or other items that are superimposed on the canvas, you will need to carefully "dry-block" the needlepoint canvas. If you find yourself in this situation and you prefer to block your needlepoint on your own, here's what you should do. Pin the canvas to the blocking board face down by putting a T-pin in each corner. Use the "mist" setting on your spray bottle to lightly wet the wrong side of the canvas with clean clear water. 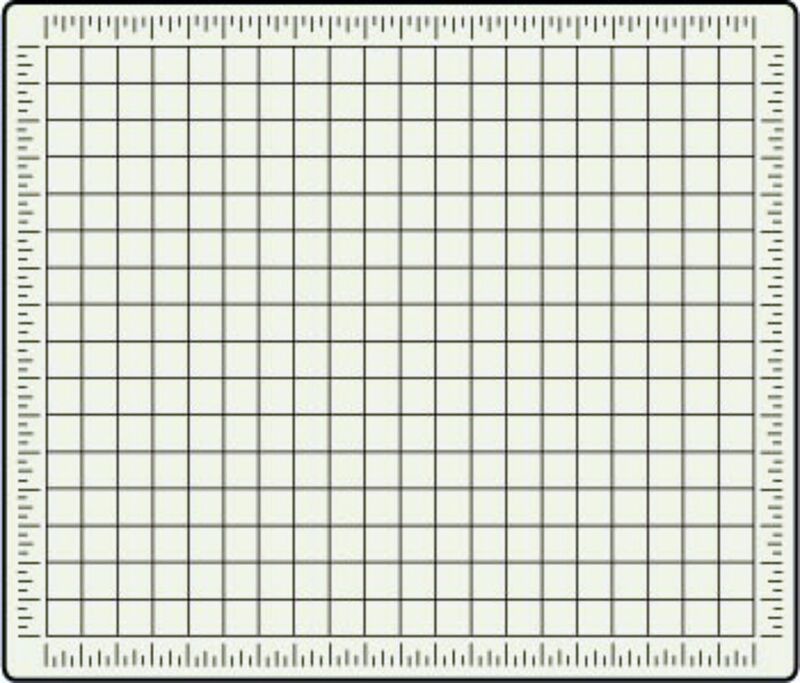 Gently stretch the canvas, pining every 1/2 inch on the blocking board grid lines until the canvas has been straightened. Let it dry thoroughly before removing from the blocking board. If you used stretcher bars to stitch your project, you can easily dry-block the canvas by re-stretching it on the bars. Pin the right side of the canvas on top of the stretcher bars, pulling it as taut as you can on all sides. Place the bars between two tables or chairs so that the canvas is visible. Instead of a light mist, place a wet cloth on top of a hot iron that has been placed on the "dry" instead of "steam" setting. Hold the iron about 3 to 4 inches under the wrong side of the canvas and pass it over the entire canvas to let the steam rise up through the fibers. Do not saturate with too much steam. Gently re-stretch again until the canvas is taut and firm. If the canvas is not straight, let it dry and repeat the steaming process, if necessary. Make sure the canvas is completely dry while still pinned to the stretcher bars before removing it. Never iron or press your finished needlepoint canvas! Ironing and pressing flatten the fibers and ruins the texture of your beautiful work, especially on textured or decorative stitches. Blocking will not fix a poorly stitched needlepoint project--even if you send it to a professional; so make sure to work the design as directed and properly make the needlepoint stitches.